There are a few steps that you as a homeowner can take to help your foundation's health. We recommend cleaning out the gutters and downspouts of your home frequently. Also, make sure that the drainage from the downspouts moves down and away from the foundation of your home. 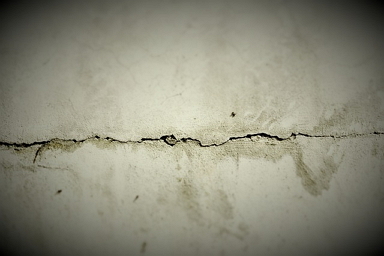 If water builds up it will put pressure on foundation walls and can cause them to bow, lean, crack, and leak. For bowing and leaning walls, we choose wall anchors and support to pull those bowing and leaning walls back to their original place. When there is excess water around your foundation it puts pressure on the walls. This pushes them in and in the long run they will crack and water will find it's way in. We install the Nash Force Bracket System. This system is minimally invasive. It also requires no excavation outside your home. Wall supports are a great solution to add strength to your basement walls. To learn more of for a free inspection call us today! Another problem frequently seen in Alabama home is sagging or bowed floors caused by a lack of support in your crawlspace. This can cause severe structural damage to your home. We are installers for Power Post Crawlspace Stabilizers to resolve this issue. These crawlspace jacks install easily, and have a strong, high capacity. They are adjustable with galvanized steel tubes and zinc coated components. To learn more give us a call! When you have a wet basement or crawlspace it can effect the health of your whole home and it's inhabitants. Don't wait to have these problems fixed. Southeastern Home Solutions are experts at installing high quality sump pumps and sump pits, as well as the Versa Drain by Emecole. Move water up and away from your basement or crawlspace. We have a variety of sump pumps and pits to fit your needs. If you own a crawlspace, and have a problem with dampness or moisture, it can cause problems like mold and mildew, as well as bug infestations and more. 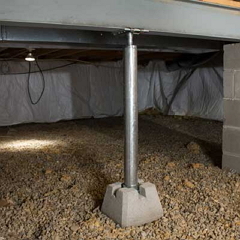 We can assist by encapsulating your crawlspace with vapor barriers to lock away moisture and keep your family healthy. If you have questions about any of these products, contact us anytime. For concrete leveling and slab lifting we use a more economical, long lasting solution than mudjacking. This process is called polyjacking. We choose to use the effective polyurethane lifting and leveling tools from Poly Raise. Their products are proven to be long lasting and easy to use. They are also minimally evasive. Polyjacking is an excellent solution to level and raise walkways, sidewalks, garages, porches, decks, concrete stairs, slab foundations, parking lots, patios, basement floors, and pool decks. Poly Raise is the best choice for this process. Southeastern Home Solutions has the specialized equipment and training for this polyurethane solution. To learn if polyjacking is the right method of slab lifting and concrete leveling for your Alabama home, contact our team for a free estimate! 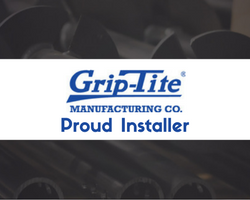 We are proud supplies of Nash, Whitecap, EZflow, and feel that they are the best in the business with proven foundation repair and waterproofing solutions for your Alabama home. With the great products they supply and the well trained team from at Southeastern Home Solutions you know that your foundation, concrete, water, and crawlspace problems can be resolved the first time, every time. Call us today to get a free estimate for your repairs. We look forward to serving you!